BANGI, 21 May 2012 – A National Seed Bank should be set up in the country as a long-term storage of genetic materials in case seed reserves elsewhere are destroyed. Director of the Institute of Systems Biology of The National University of Malaysia (UKM), Prof Dr Normah Mohd Noor who is also the Chair of Biodiversity for Biotechnology Development Niche said a national seed bank will be able to store seeds of food crops or those of rare species to protect biodiversity from extinction or loss. Prof Normah told UKM News Portal that such a seed bank is needed considering the nation’s rising dependence on imported food as the land set aside for food crops are shrinking. Seeds of essential foodstuff should be kept there in case of unforseen problems in the future. They include rice, legumes or nuts, vegetables, chilli and corn. The country needs only one seed bank to be maintained with government backing because of the costs involved, she said. The Malaysian Agricultural Research and Development Institute (MARDI), in an abstract last week said a new seed gene bank proposed under the Ninth Malaysia Plan, is still under construction. The seed bank is one way of conserving vital seeds or germplasm and is a type of gene bank where so-called orthodox seeds can be kept. Apart from food crops the seeds stored may be those of rare species to protect biodiversity. In the case of food crops, many useful plants that were developed over the centuries are now no longer used for commercial agricultural production and are becoming rare. Storing seeds also guards against catastrophic events like natural disasters, outbreaks of diseases or war. 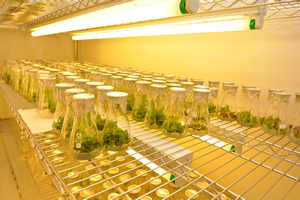 Unlike seed libraries or active banks where seeds can be exchanged with different researchers, seed banks are base collections for long-term storage. Orthodox seeds can stay dormant for decades in a cool and dry environment, with little damage to their DNA; they remain viable and are easily stored in seed banks. By contrast, recalcitrant seeds can be damaged by dryness and subzero temperatures and thus must be continuously replanted to replenish their seed stocks. Examples are the seeds of cocoa and rubber. Prof Normah said there are other kinds of germplasm storage, such as cryopreservation, field gene banks or in-situ conservation. Field gene banks are essentially growing crops in plots of soil, much like orchards. 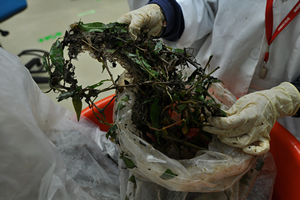 However, this kind of propagating the species is open to infection of disease and mutation as the plants can be in contact with other organisms and the atmosphere. The term ‘cryopreservation’ (cryogenic preservation) refers to the storage of cells, tissues and organs at the ultra-low temperature of liquid nitrogen (-196°C). At this temperature, the vegetative cells enters a state of “absolute quiescence”, as all the physical and biochemical reactions are practically halted; in this particular condition, conservation time becomes theoretically unlimited. 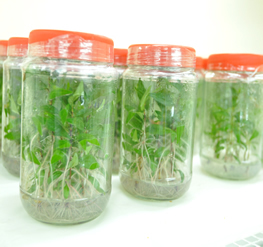 Among the main advantages of cryopreservation are the possibility to put in conservation a wide range of plant organs and tissues such as shoot tips from in vitro culture, seeds and embryonic axes, and the limited space necessary for the conservation. 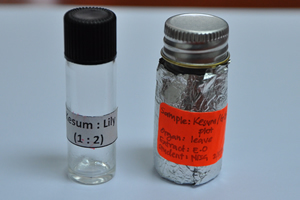 A medium-size flask for liquid nitrogen contains 5,000-10,000 explants. However, cryopreservation needs a constant supply of liquid nitrogen and continuous refrigeration of the storage chamber. In-situ conservation involves the creation of National Parks and National Forests as a way of preserving the natural habitat of the targeted seed-producing organisms. 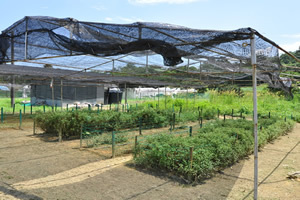 In-situ conservation of agricultural resources is performed on-farm. This also allows the plants to continue to evolve with their environment through natural selection. Among the world’s foremost seed banks are The Millenium Seed Bank Project in the UK, The Svalbard Global Seed Vault in Norway’s permafrost and the Valivov Institute of Plant Industry in Russia. According to the Institute of Strategic and International Studies, (ISIS), Malaysia’s food import bill is rising and outstripping food exports. There seems to be a scarcity of official set of figures of Malaysia’s dependence on imported food. Some of the data were gleaned from various sources, much of it secondary and anecdotal output. Malaysia’s food import bill totaled an all-time high of RM35 billion in 2008 and is constantly on the rise. According to another private source in 2010, Malaysia spent RM13 billion annually on just meat, potatoes, fruits, onions and vegetables imports. That doesn’t include rice and sugar. Business Monitor International in 2009 forecast the food consumption in Malaysia will continue to grow by a hefty 22.7% by 2013. Prof Normah said the case for a seed bank is also based on improvements of local crops through breeding. Having a reliable local supply would make the country less vulnerable. Although export performance of the food processing sector in Malaysia has doubled over the last decade, the country is highly dependent on imported food products due to the limited domestic agricultural production and rising demand for many food products.